When he was 28 years old, Van Gogh went back home and continued to draw. His subjects mostly included his neighbors who he asked to model for him. During this time, Van Gogh fell in love with a woman that refused him. After his persistent approaches were rejected, he was disappointed in the lack of support from his family and friends. It was then that Van Gogh forfeited the religious zeal that he had held dear during his youth. A year later, Vincent Van Gogh came to Hague. Once there, he got a loan from his cousin to set up his own painting studio. His cousin, Anton Mauve, was a famous realist artist in Hague. 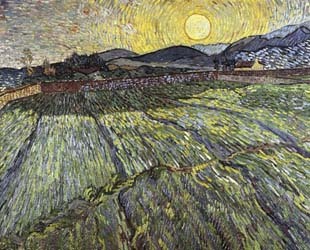 Anton helped Van Gogh by showing him how to work with oil and watercolor. However, after awhile the two of them split up because of differences. Later, Mauve stopped corresponding with Van Gogh altogether. Around this time, Van Gogh met a prostitute named Sien, and invited her to live with him. She had a small daughter and was pregnant. They lived together for some time. During which, she was a model for most of his drawings. Van Gogh wanted to marry Sien but he didn't have the support from his family. 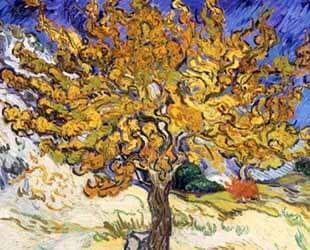 Nonetheless, Van Gogh continued living with her but after awhile a lack of financial stability forced them to split up. When he was 30 years old, Van Gogh was so lonely that he went to live with his parents in the small settlement Nuenen, where they were stationed at that time. While in Nuenen, Van Gogh dedicated all his time to drawing. He drew and painted people working in their cottages. While he was painting, a neighbor's daughter, Margot Begemann, often joined him in his sessions. During this time, she fell in love with him. They decided to marry but their decision was strongly rejected by their families. In an act of defiance, Margot attempted killing herself with poison but Van Gogh saved her life by bringing her quickly to the nearest hospital. 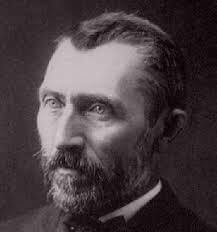 A year later, Van Gogh's father deceased. He was shattered by that loss. When Van Gogh was 32, his first art masterpiece was completed. 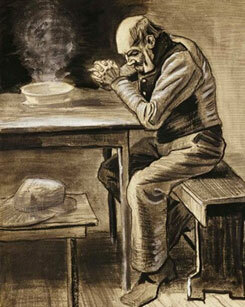 "The Potato Eaters" was a painting that illustrated the life of simple people. It was exhibited in the window of an art dealer in Hague. 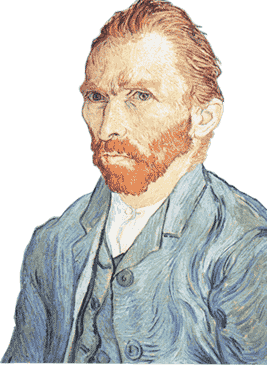 In autumn of the same year, one of his models got pregnant and Van Gogh was wrongfully accused of forcing her to be with him. In response, the village priest forbade people from his church to model for Van Gogh's art. While Van Gogh was in Nuemen, he managed to create numerous drawings, watercolors and almost 200 oil paintings. During this painting period, he was using darker, earth tone colors. At this time, most artists were painting brighter cheerful paintings. As a result, Van Gogh couldn't sell any of his dark art. So, he moved to Antwerp and lived in a small shop above an art dealer's store. He didn't have much money - What he did have for money was spent on materials for work. He consumed only bread, coffee and tobacco. He also started drinking a lot of absinthe at that time. At one point during this time, he was sick and weak constantly because he was over-worked, rarely ate and smoked a lot. When Vincent Van Gogh was 33, he moved to Paris and lived with his brother Theo. In Paris, he painted a lot of portraits, still lifes and city scenes. He also collected ukiyo-e woodblock art made in Japan. This form of Japanese art was one of his unique style's influences. 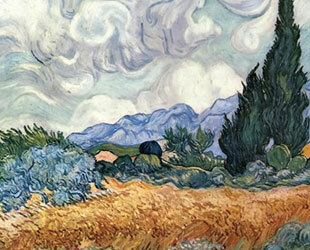 Some of the elements of ukiyo-e art was implemented in the backgrounds of Van Gogh's paintings. After some time, Theo and Vincent had a conflict. Theo could not live with his brother whose behavior was too much pressure for him. As a result, Van Gogh moved to another apartment in the suburbs of Paris. After some time of separation, the brothers found peace among themselves and continued to communicate. When Van Gogh met Emile Bernard, he started to implement a pointillism technique. He painted parks, restaurants and the river Seine in this style. Later, he met Paul Gaugin and made a large exhibition with a few other artists, including Camille Pissarro and Claude Monet. 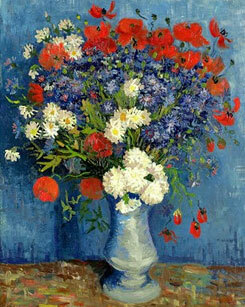 His friends Bernard and Anquetin sold their first paintings there and Van Gogh exchanged paintings with Gaugin. This particular exhibit was regarded as very modern at the time for the city of Paris. During Van Gogh's stay in Paris, he created well over 200 paintings.